Wow! 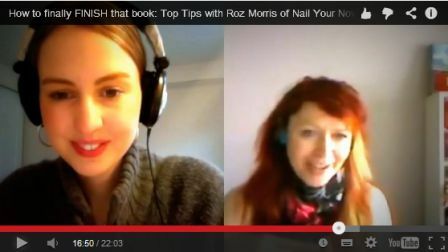 I am such a fan of Roz and her book ‘Nail Your Novel’. I’m in process of the steps right now on my first elusive novel and it’s helped me a great deal. This post and her interview with Laura Pepper Wu has many great tips for writers at any level. Also if you haven’t checked out the online magazine ‘Write Life’ you’re missing out and need to check out it as well. Top notch information and tips to incorporate. I love it when I find a gem and both of these I am compelled to ensure you find too. Whether your a novel writer, business writer, or poet we all can use some insight in the process to refine our own. Let me know your thoughts on the reblog – Like/Share/Comment. You started writing a book… but will you finish? Laura Pepper Wu of The Write Life Magazine invited me to her series ‘7 Superstars in Writing & Publishing’ to answer that question.